Parents should not take children out of school in term time. Under the provision of the Education Act the Headteacher, on behalf of the governing body, will consider leave of absence in exceptional circumstances only. 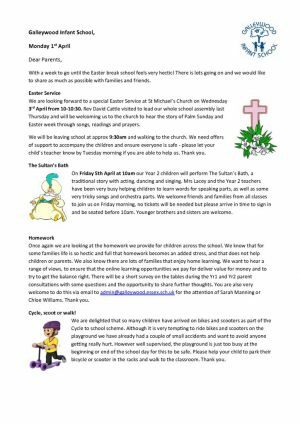 A letter must be provided for our consideration, detailing the special circumstances for the request accompanied by a completed Leave of Absence application form, available from the school office. If the absence is not authorised and the leave is taken anyway, we will refer this to the Education Welfare Service who may issue a Penalty Notice for £60 (if paid within 21 days) to each parent for each child taken out of school. The penalty will increase to £120 if not paid on time and if the higher penalty is unpaid within 28 days, The Education Welfare Service may institute legal proceedings against you in the magistrate’s court, for failing to ensure your child attends school regularly.